My grandparents were founding members of Upland Christian Church, which was born out of First Christian Church Ontario. I grew up with one foot in the Catholic Church and one foot in the Disciples church. However, my spiritual home within the Disciples was clear by the time I was in junior high. Part of that sense of home within my small, local congregation was deepened because of a connection to the larger church in the PSWR. Going to camp at Loch Leven (starting at 9 years old) gave me a glimpse of God – of unconditional love lived out in community, which forever changed me. As a child, I was shy and quiet; still, there was a place for me, and camp was the highlight of my year. As a high school youth, I served on the Youth Leadership Team; there I felt God’s call toward hospitality and inclusivity. Regional Assemblies also gave me a sense of the Church as larger than my own local congregation. I was excited by what we could do together and to experience worship in different ways! During my undergrad years at Chapman University, I was able to maintain my connections to the PSWR and grow my leadership as a camp counselor, camp director, youth leader, and educator. Supported through Disciples Seminary Foundation, I attended Pacific School of Religion for seminary. (Now I have the pleasure of serving on the board of Disciples Seminary Foundation.) After 12 years outside of the PSWR, I was called back, eventually to serve as Associate Pastor of the amazing First Christian Church of Orange. Now, it is such an honor to serve as one of the adult leaders for the PSWR’s Youth Immersion Ministry (YIM). It has been one of my life goals to work with an intentionally multi-racial, multi-cultural group of youth – to be about relationship-building, anti-racism, and making the world a better place; we are doing just that as Disciples in the PSWR, and my heart rejoices! In February 2017, the UNITE winter youth summit may have included more churches than had ever participated in a PSWR youth event! This gathering was a beautiful witness of diversity and leadership within the church. Youth were equipped with tools for ministry that they could take back to their congregations. It was a joy for me to help lead the drama track. When people ask me about how ministry is going, inherently, I must include affirmations of ministry within the PSWR. I have lived in three different Disciples regions and counseled Disciples camps in over seven regions; having experienced life and church in all of those places has grown me into a better Christian. Still, I am grateful to call the PSWR my home – with all of the joys and challenges that come along with being Church together. Thank you, PSWR, for being home and for being builders of God’s kin-dom on earth! Learn how your gift can help support individuals and groups, and affect real change throughout the region by visiting www.disciplespswr.org/give. 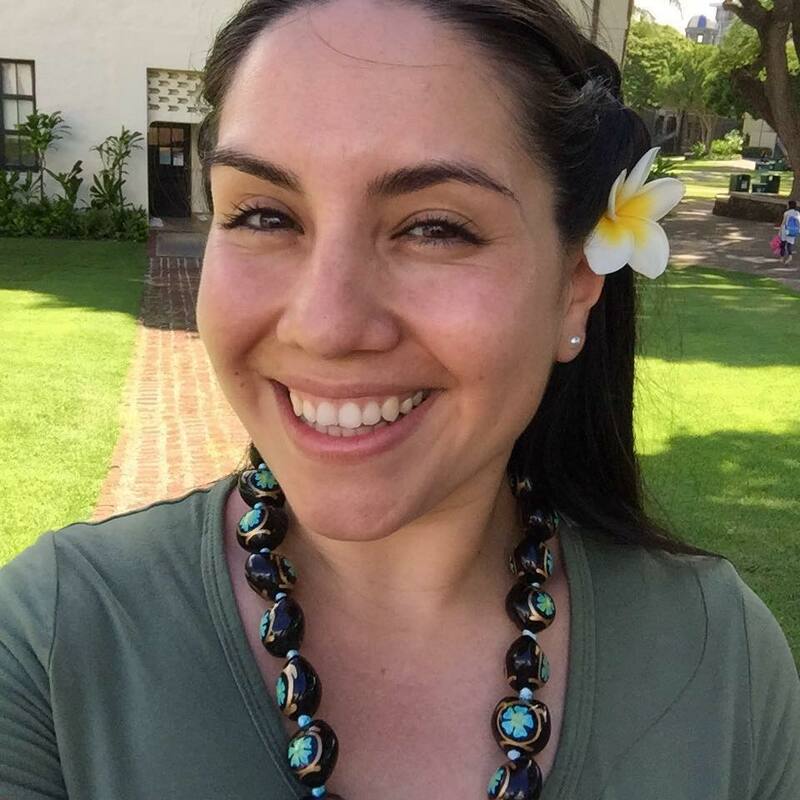 Janette Jara is an exceptional young adult who serves the Region through multiple programs. Janette serves in the Media Ministry and Young Adult Ministry at her home Church of FCC North Hollywood. Regionally she serves on the Board as the Young Adult Representative and as an Adult Leader in the Youth Immersion Ministry. Janette says she feels like she has a true passion for Young Adult Ministry right now because it’s exactly where her life is. She has finished school, is currently building a business, relationships with friends and family, all with the focus on a greater purpose. She feels that in life, she is in a place similar to many young people who need to hear about Gods grace and mercy, and would love to be able to share in the journey with them. According to Janette, she first got involved in the Pacific Southwest Regional Christian Church by accident. The Youth Minister at FCC North Hollywood asked her if she was available to be an Adult Chaperone for one of our Youth Mission trips. Unfortunately she was not available that week, but said if there were any other opportunities, to let her know. A new opportunity came up and he spoke with her about Loch Leven and that they were looking for some female counselors. Janette said that she had never been to Loch Leven before, but having fond memories of Theater Camp in High School, she was excited to jump at the opportunity. Little did she know how much she would fall in love with not only camp, but the PSWR Region as a whole. In the last two years since her first Camp experience, she has jumped all in and now gets to serve in many ways. Janette feels that in each of these circles, she is welcomed and feels the love of God from complete strangers, and that on its own is really amazing. Janette says her hope with all of these ministries is that she serves as Jesus did by giving her all and not expecting anything in return. Giving love and respect because it’s what people deserve, not because she wants something from them. Being the first to volunteer for things to be an example for others to get involved, and not for her own glory. Giving from her heart as a caregiver and creating a safe space for the youth to learn and explore and grow in their relationship with Christ. YIM has led Zaemelys to other opportunities to spread the importance of diversity and the struggles that minorities experience through her artwork, and verbally in my school projects. Zaemelys says the Youth Immersion Ministry is an incredible opportunity for the youth of the PSWR to experience different cultures and realize the importance of spreading awareness about the inequalities of minority groups. YIM is a regional anti-racism/pro-reconciliation initiative that prepares young leaders to do ministry in cross-cultural contexts. High School youth who are recommended by their pastors are interviewed and selected based on their passion and interest in promoting justice for all people. The ministry is designed to engage youth selected from among the North American/Pacific Asian Disciples constituency, Hispanic Convencion constituency, African American Convocation constituency, and Anglo/European communities of faith in cultural experiences from all over the world. Focusing on five areas of spiritual formation (Hospitality, Mentorship, Local Service, Global Mission, and Disciples Identity), these young leaders participate in one significant immersion experience per year, difficult conversations regarding race and culture, service projects in local settings, and advocacy on behalf of those whose voices go unheard. We pray that God will use this ministry to prepare leaders who have broad world-views, sensitive but bold voices for justice, and strong foundations in our Christian tradition. “You make a lot of new friends and not just friends that are for one week a year, but lifetime friends." The Christian Church Pacific Southwest Region sponsors various youth camps throughout the year at its own camp and conference center, Loch Leven, located in the Mountain Home Village area of the lower San Bernardino mountains. In the summer, week-long residential camp sessions are offered at Loch Leven for ages 4 through 18 (recent high school graduates). 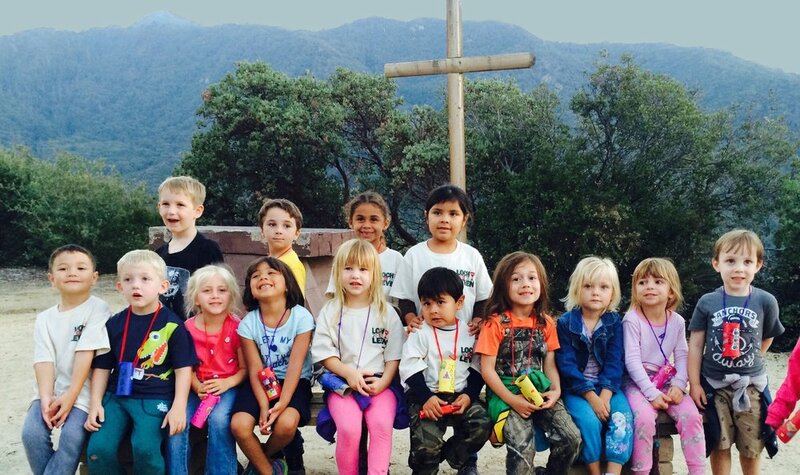 Summer camps are organized by the Camps & Conference Committee of the Disciples of Christ Pacific Southwest Region and implemented entirely by dedicated volunteers made up of former campers, pastors, parents and young adults from around the Region. This program invites campers to explore, learn, and have adventures in Loch Leven's sunny 160 acres filled with streams, meadows, gardens, hiking trails, and wildlife.